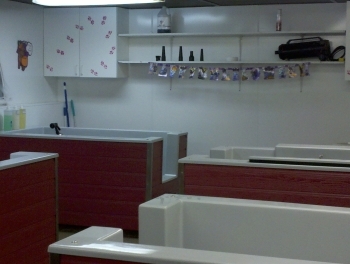 Anita’s Puppy Palace Mobile Pet Grooming And Pet Boarding Kennel is a family run business for more than twenty years. Our Mobile Pet Grooming Salons have been servicing Orleans County and Monroe County for more than 20 years. Mobile Pet Grooming is both convenient and affordable. Give us a call to book an appointment and have one of our Mobile Pet Grooming Salons come right to your home. Our dogs have always stayed at Puppy Palace. They love it there & get so excited when we get close to the driveway. The care has always been excellent. Thank you girls!! I used the self service to give our Homer a bath yesterday. Very clean and was very pleased with our visit. Staff was very nice and answered all my questions about grooming and boadrding. Will visit again! Thank you! Amy from Puppy Palace has been our only groomer for our dog Buster since he was a puppy. Buster loves Amy so much that he jumps into her arms as soon as she walks thru the door. Buster is always given a special scarf/ bandana that reflects the time of year. Anita has a wonderful business and a great employee (Amy). Full dog grooming service on wheels. They come to your house. Convenient and friendly, right outside your door!!! The Best and ONLY grooming service & kennel we would EVER use! Anita and Amy took such great & gentle care of our beloved dog Mokie for years. Sadly we had to let him go after 18 years of being the "best puppy ever". After recently "adopting" the two Yorkies of a friend, Amy was right there to welcome them and groom them perfectly! They absolutely ADORE her. We recommend Puppy Palace to everyone we know who has dogs. You guys are the greatest! Brody absolutely loves coming and visiting with the staff and other dogs especially his girlfriend Shilo. As a pet owner it is nice to know that when he isn't with me he is happy to be at doggy daycare! I love taking bud to puppy palace for his bath, he loves it there and the staff is great!!! Cant imagine going any wheres else!! The vacation he took was awesome. They offer walks the play yard and self baths r affordable and the employees are simply wonderful people. Look foward to sending him to The Puppy Palace again soon. Definately a Five Star Resort!!!!! We luv Puppy Palace! We have been using them for a few years!! I absolutely love this place. Mason always gets groomed by Sarah and she does such an amazing job. Mason has some health problems and I feel completely comfortable leaving him alone there. I recently switched from a different groomer and I couldn’t believe how quick the appointment was. If you are sick of waiting six plus hours for your dogs appointment check this place out. Thank you again puppy palace and Sarah for doing such a good job with my baby boy! I have known Anita for many years and have had my dogs groomed by Sara and Chelsea and they always look so good after. Love them and Anita! Amy is wonderful with all three of our dogs. They can't wait when they see the van pull into the driveway. Have recommended them to everyone who has dogs or cats groomed. I love my groomer Anita! She is the best EVER!!! I have referred my friends to her. They love her as much as I do! I can never express how satisfied I am with her services. Extremely professional and gentle to my baby Rina, leaves her looking like a Diva! You guys did such an amazing job on Milo! You have a customer for life! The absolute BEST service!! We wouldn't let anyone else groom our "Madison". Anita is always professional, courteous, and sooooo nice! I HIGHLY recommend Puppy Palace!! Come right to the house, and even with Toto having separation anxiety, Sara was great with her! Will definitely be recommending to friends and family and continuing with you guys for our grooming needs! Jess groomed our 3 Pomeranians yesterday and did a beautiful job . We have been using Puppy Palace for a couple of years now and they are amazing!!! Thank you for taking such good care of our fur babies. * couldn’t get 3 to sit for photo at the same time! Alyssa grooms Rover for us and always does an amazing job! Although he is now ready for his nap. We love Puppy Palace! Amy comes to groom Harley and Finnigan about every 6 weeks and they always look fabulous! She is awesome with them and they come prancing back into the house clean, and looking their best. We love the convenience of the mobile grooming van and Amy is super with our guys. Two paws up, for sure! Great experience,best mobile grooming around,timely service and reasonably priced our groomer was very polite and courteous with our dog...thank you again! New to the area. Henry got the best haircut ever! Sarah did a fantastic job and so convenient having the mobile service! Our little cairn terrier/miniature poodle mix had his first "at home" haircut from Chelsea this morning. We could not be happier! What used to take 4-5 hours and extreme stress for our little Stewie took less than an hour and no trauma from other dogs barking and lots of strange noises. So glad we found Anita and Chelsea! I bought 2 puppies from here and have been very satisfied. I only trust the puppy palace with my best friend!! Ginger. 2 weeks dam I wish I could take her!! Amy came Thursday to my house to groom my long haired dachshund. She did a fantastic job. Scarlet's hair was so soft; smelled so nice and was trimmed to perfection just the way I wanted. I'm new to Amy but she came highly recommended. I am so glad I followed through on this recommendation. I boarded my German Shepherd Snow there a few years ago on a few occasions. She liked it there which says alot, as she shook and cried when I had previously taken her elsewhere.....They were wonderful to her, gave her the meds she needed daily and were so caring and friendly. She never cried when I left her at Puppy Palace.... Great place !! My dog, Yukon, loves seeing Anita. She does a wonderful job grooming him. Congratulations on celebrating 20 years of service. Thank you for loving our pets. This was the first time we used Anita and she did an amazing job on out Cava-tzu. Cupcake was super soft and smelled amazing! The convenience is something you can't beat! Thank you and you have a new customer!! Full Disclosure: I know the owner personally however, just as anyone who might know the owner/Anita leaving a 5 star review should be no surprise. I'm an animal lover myself but Anita takes it to a whole nother level (yes I know that's grammatically incorrect but you get the point) she LOVES animals, ALL animals, she loves them so much she chose to spend her life taking care of them. Anyone she has ever hired to work at Anita's Puppy Palace has to love animals as well and if you happen to visit the boarding kennel you would know immediately how true that is. 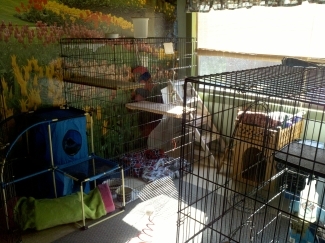 The kennel could be filled to capacity and it would still be spotless inside and out and smell cleaner then most homes. I could say that she requires and expects that from the team, which she does, but because they all love animals I believe it would be that clean regardless. With all the love and attention the pets receive it's more of a vacation resort for the pets then it is a boarding kennel. I just used the mobile pet grooming for the first time. I have a husky and she looks and smells great! I would definitely recommend it to my friends/family! Jesse did an amazing job on our 16 year old miniature poodle. Thank you again, we highly recommend Anita’s puppy palace. I've been having my dog Riley groomed here for years, great staff, great prices, Riley loves it here. Amy is amazing. Nikko loves her. She does a great job. We won't go anywhere else. Thank you Amy. Anita has been grooming Skipper for over five years and I couldn't be happier! She is a very caring person and passionate about her work! It is so convenient that she comes to my home. Anita makes Skipper look amazing! Have had nothing but the best service, in the 7 years, that my dogs have been groomed and boarded! Would never go anywhere else! Thank you for your years of service! Just had my baby sassy done,totally happy with it all,love how convenient it is it took less than 45 min she looks great,a lot better than having to drop her off for 3 or more hrs! Will totally recommend! Chelsea just finished grooming Myah our labradoodle and did a fantastic job. Myah looks great and she seemed to enjoy her experience. Very pleased with her service and quality grooming! Only place we have our Sasha beautified at. Amy Dalcin is very patient with Sasha and does such a great job. Cant see going anywhere else for our dog. So if you think your dog deserves the best, call for an appointment when ur dog starts looking shabby. We decided to try going the mobile route with our Jake because he is getting older & has trouble getting around. He's also a bit timid but this worked out great for us & him! He loved Sara & she did an amazing job! Extremely Happy! Thank you! George had a excellent spa day. He got a wash, blow dry, and cut. I took him out to the puppy palace because he is 100 lbs. Jess did a great job! George is a Golden retriever w/ a dash of great Pyrenees so there was alot of hair. We are ready for spring. best ever,,will use NO ONE else! Yesterday we had our golden retriever Simba groomed by Jess for the first time. She did an amazing job with him we were beyond thrilled with the outcome. Definitely recommend them to everyone. Absolutely love Anita and her staff!!! I have been working with Anita for more than 10 yrs and have always been very pleased with how well my girls look after their groom. They both love Anita so much and get soo excited to see her! She's just amazing with them and I strongly recommend her. Puppy Palace rates 5 stars for everything, customer service, professional staff, loving attention, and quality and safety of our dogs. Couldn't ask for anything more. Puppy Palace is affordable , and I love having Kailee and Kasey groomed at home. You are the best. Anita has always been the one to cut Sadies hair and we absolutely love having her as our dog groomer. She has helped Sadie to feel very comfortable and always asks how I would like her hair cut. We couldn't ask for a better groomer. Thanks Anita for all you do for our special puppy. I been taking my dog Bella here for little over a year now..and from what I see they have a very caring staff that knows what they are doing and love there jobs.. The state of the art Mobile Pet Grooming Salon is fully self-contained each with its own water supply and ultra power producing generator. Instead of you driving to us, we come to you and groom your pet in the comfort of our state of the art mobile pet grooming salon. My husband built and designed our first full-service salon and Anita’s Puppy Palace was the first Mobile Pet Grooming Service in Western New York. And now 25 years later we have four Mobile Pet Grooming Salons servicing our clients throughout all of Orleans and Monroe Counties 6 days a week. However, having been in business for almost 25 years, we have expanded and are now serving clients in Elba, Batavia, Medina, Middleport, and surrounding areas. If you would like to know if we service your area give us a call. Booking an appointment with Anita’s Puppy Palace Mobile Pet Grooming will save you time, travel and money. Most important is that our Mobile Pet Grooming service protects your pet from the stress of being dropped off at a noisy kennel which makes it a win-win situation. Next up we have our clean and spacious Pet Boarding Kennels where your pet is treated like royalty at Anita’s Puppy Palace. If you are going out-of-town and need someone to care for your furry little loved one give us a call at 585-682-3219 and reserve the dates for when you would like to board your pet with us. Our Pet Boarding Kennels offer your pet all the comforts of home. Just as our Mobile Pet Grooming Salons our Pet Boarding Kennels are far from your average dog kennel. Located right on our 40-acre homestead Anita’s Puppy Palace Pet Boarding Kennel is no more than 20 yards from the door to our home. Because we live on location, you can rest easy knowing that your pet is in good hands 24 hours a day. The 33 run Pet Boarding facility is so modern it’s difficult to distinguish Puppy Palace from our Home (it is the building on the East side : ). Unlike most boarding kennels when you walk into Anita’s Puppy Palace, it’s clean, and it smells so good it’s hard to believe you’re inside a Pet Boarding facility. We take pride in maintaining the most modern, cleanest, freshest smelling boarding kennel you could find. We refer to it as a Pet Resort because we do all we can to see to it that our guests always enjoy their stay. 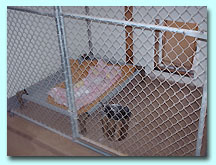 At Anita’s Puppy Palace we DO NOT lock your pet in a cage, feed them twice a day and then clean out their run just before they get picked up. When you board your loved one at Anita’s Puppy Palace, you can rest assured that he or she is getting the love and attention they deserve. Every one of our employees is a pet lover themselves, and they all enjoy their job which means your pet gets a lot of love and attention during their stay with us. Our indoor/outdoor kennels are both roomy and comfortable; each enclosure has its little doggie door which allows your pet to go in and out as they please. And because of our country location, we are not required to lock our guests inside their kennel in the evenings which allows your pet to go in and out 24 hours a day. At Anita’s Puppy Palace we also have a large play yard full of toys and twice a day each pet gets to play in the yard for at least 30 minutes. If you are short on time or don’t feel like making the short drive to Anita’s Puppy Palace, that’s not a problem. Give us a call, and for a small fee, we will pick up your pet from your home and bring him or her to our pet resort. And if you need us to bring them home when you return that too is not a problem. Here at Anita’s Puppy Palace, we try to meet your every need so if you have a special request we welcome those as well. However, our services do not end there. You didn’t think we could forget about all you cat lovers, did you? We have a completely separate cattery that is far from the dog boarding section of the Puppy Palace Pet Resort. Our cattery features floor to ceiling enclosures cat tunnels, scratching posts, stuffed toys and more. The cattery is designed to have a natural type atmosphere complete with a four-foot by a ten-foot glass wall which allows for a lot of natural light. Don’t leave just yet there is more we would like to share with you. Over the years we have added another new addition to our Pet Resort. Anita’s Puppy Palace now offers full-service grooming on-site, or for those who like to bath and groom their pet on their own, that is no problem. With the new addition, we added six new self-service pet washing/grooming stations. Each station has an extra-large walk-in tub, all the towels you need, shampoos, forced air dryers, aprons, pet grooming tools and more. Here is the best part, at Anita’s Puppy Palace Pet Resort all you have to do is to clean your pet because we will clean the mess. We will also offer an extra pet walking service so if your pet requires some extra special attention that is not a problem. As you can see when it comes to taking care of your furry little-loved ones Anita’s Puppy Palace offers every service you could need or want. If you get a chance, we would love to have you visit us at our scenic little country getaway. 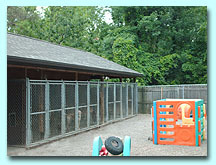 Anita’s Puppy Palace located at 15292 E. Kent Rd. Kent, NY 14477 is a short 7-minute drive from Albion, NY, a 10-minute drive from Holley and approximately 15 minutes from Brockport. 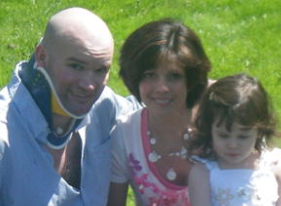 Have a special situation or need don’t hesitate to give us a call as we’ll do our best to help in any way possible. Example being, if you’re in a jam and short on time, we may be able to help by picking your pet up at your home. If you are interested in booking an appointment for our Mobile Pet Grooming Service give Anita a call at 585-682-3219 And don’t forget we service all of Monroe and Orleans county. We would love to have you give us a try. To reserve some dates for our pet boarding kennels CLICK HERE to use the form on our Contact page, and we will get back in touch with as soon as possible. As the owner of Anita’s Puppy Palace Mobile Pet Grooming And Pet Boarding Kennels, I appreciate you taking the time to visit my site. As a special thank, you for visiting I’d like to offer you a free eBook on how to train a puppy if you are interested click on Puppy Training Trips for the instant download. Thank you again from all of us at Anita’s Puppy Palace Mobile Pet Grooming Service And Pet Boarding Kennels.